Although Android SDK has been the serving as the backbone for the development of out-of-the-box applications, developers have always been keen finding innovative solutions for developing Android apps that can serve to the needs of a large majority of targeted audience. Eclipse-based solutions have given a new definition to the entire concept of developing apps that can run perfectly on all Android-enabled devices. Continue reading this post to gather excellent insights on the pros associated with developing Android apps by integrating the traditional Android SDK with a commercial app development solution. 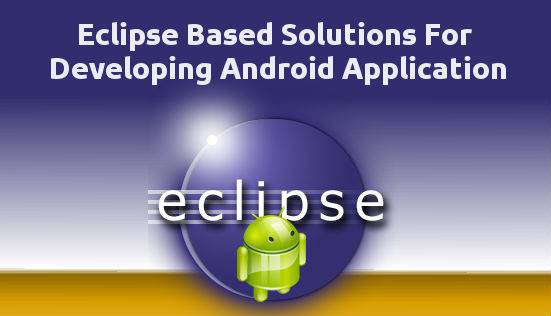 Android Development Tools Eclipse plugin which is part of the traditional Android SDK can be easily combined with a flawless Eclipse-based commercial collaborative development product like IBM Rational Team Concert(RTC). The commercial IDE(RTC) comes equipped with an in-built integrated work item management feature which allows you to define specific tasks for the Android UI developers. Since the code changes associated with a specific work item get tied together into a particular change set, you can avail the flexibility of tracking the entire code as a single unit. Since the developers edit the files within the IDE(Integrated Development Environment) itself, the change set is being maintained automatically. That means, the developer doesn't have to perform any special task apart from editing the files that they need to work on. What's more with downloading and installing IBM Rational Team Concert(RTC)? The change sets created using IBM Rational Team Concert(RTC) can be conveniently shared amongst the team members prior to integrating fully with the main code snippets associated with the creation of a fabulous Android application. For instance, a change set which is utilized for altering the format of data supplied by web app can be shared with the UI developer working on the respective Android app development project. Once all the changes pertaining to the UI code as well as the web app code have been checked for bugs, you can go ahead with integrating the same into a single synchronized task within the mainline code stream. Flexibility to define short iterations for app improvements - With RTC, you gain the freedom of defining multiple short iterations wherein a specific set of app enhancements can be validated and implemented in the finest way. Unlike a typical agile iteration, RTC enables a team leader to map work items fetched from a backlog list, followed by assigning the same to individual app developers. Functional testing of the Android app becomes even more convenient and hassle-free - While initiating the functional testing of the developed Android app, the testers can easily open defects as specific work items within the shared app development project. Plus, they can even take screen-shots of all the failed testing initiatives and opt for including their details within the defects records. With effective listing of all these failed tests, it becomes quite comfortable for the team leader to track all incoming test defects and make proper plans for working with his/her development team to resolve the same using the best possible approach. An enhanced ability to analyze the code for quality and security concerns - While working in an Eclipse-based development environment, you can opt for a seamless integration of commercial static analysis products which would offer you an added ability of analyzing the app code for a wide range of quality and security problems. Moreover, you may also opt for integrating some of the static analysis products with the mainline code stream for a better Android app testing experience. Flexibility to extend and enhance the basic Google Android SDK - It is quite interesting for you to know that with Eclipse-based solutions like RTC, you can easily extend and enhance the default capabilities of Google's Android SDK. In simple words, the SDK will turn to be more effective when integrated with the conventional agile team development features and functions. With effective integration of an Eclipse-based commercial product with Android SDK, you can gain the flexibility of developing Android applications with a difference. Here's hoping after reading through this blog you'd have gathered the motivation of developing Android apps in a much better and convenient development environment. Article written by Addison Cohen. Addison Cohen is a mobile app developer working for Appsted Ltd, a mobile app development company. He provides concrete information on latest mobile technologies. He loves sharing tech information and ideas on application programming.